Sweet Heart Styling chair made with the highest quality. Made in Italy. We present clients with a comprehensive range of Colorful Parlour Chairs, which is fabricated using best in class quality material. These are offered in different designs and colors, as per the clients specifications. 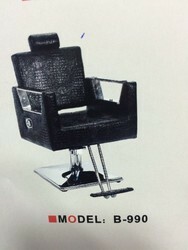 We are offering a wide range of Designer Colored Salon Chair. 2.25' x 2.25' x H' Cocoon Shape Design for best fitting comfort Reclining Removable Headrest Colour Black Items Name NEW STEEL OUTCHAIR. 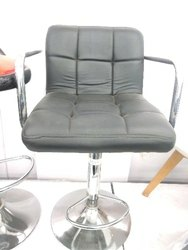 Italian contemporary design unisex chair, PU seat and back, Hydraulic, Recklining, stainless steel handles, stainless steel base and foot rest. Kindly Call on Register Number To get Best Discount.